Empower yourself with the steps to get the wine job you want. This is not a “One size fits All” by any means, but there are steps you can take to market yourself. Get an inside look at what a wine job recruiter looks for. Learn how use your passion to guide the way and find out about the type of education and training that works best for getting the wine job you want. There are many different wine positions available in this industry! Find out more! Pam has over 26 years of experience in the beverage alcohol and service industry to include: wine & spirit distribution, cruise line, and fine dining operations while holding positions in sales, management, training & development, and wine & spirit education. She began her career with Glazer’s in Louisiana 15 years ago as a “Key Account Wine Sales Representative” and was soon promoted to a “District Manager’s” position. In 2003 she entered the role of “Director of Training” for their Diageo & Moet Hennessy division while also leading the wine & spirit certification programs for Louisiana. In January 2011, was just recently promoted to “Regional HR Business Partner”. Pam is a member of the Wine Scholar Guild and the Society of Wine Educators and has earned certification credentials and certificates in wine & spirits throuh the Wine Scholar Guild, Society of Wine Educators, Court of Master Sommeliers, The Wine & Spirit Education Trust, The Bordeaux Wine School, and the Wine Academy of Spain. 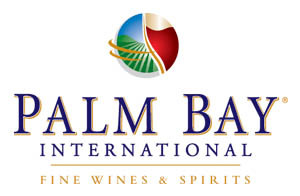 Pam is also actively involved in conducting professional wine & spirit educational courses and seminars for trade and consumer groups both locally and nationwide. She currently resides in New Orleans Louisiana with her husband Tim.